So, here we are in 2019 and the circus celebrations of last year are behind us – or are they? There were countless performances, exhibition, talks and lectures, participatory workshops, and publications. What Circus250 achieved, particularly in the UK and Ireland, was to create a resurgence of interest in the circus. An interest that I am sure will carry through into the next 250 years! And all this was because of the man named Philip Astley. 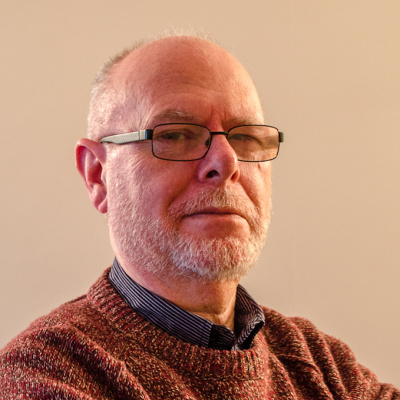 During the last year, much has been written and spoken about Philip Astley, the man who is credited with being its founding father. A sort of common mythology has grown around Astley and his life, particularly his early years, and much of this has become accepted as historical fact. Some of these myths have never been challenged but, as new research is undertaken, a new picture is being painted. Now, I know that for some Astley ‘purists’ what I am about to write may well be contentious, bordering on the heretical, but it irritates me when the same old myths are constantly trotted out without question, sometimes by people in high places. I feel it is time to begin to set the record straight. People may dispute what I write, but that is alright with me because contention leads to dialogue, and hopefully further research. So, where should we start? Some people say that Astley invented the circus. Not so, I am afraid. You cannot invent something that already exists. Circus style acts existed long before Astley first ever performed; rope dancers, jugglers, acrobats were all plying their trade centuries before Astley. Even displays of horsemanship were to be seen around the country years before Astley gave his exhibitions at Halfpenny Hatch. Another popular myth often mentioned is that he pegged out his ring and filled it with horses, jugglers, acrobats, clowns, and rope dancers. 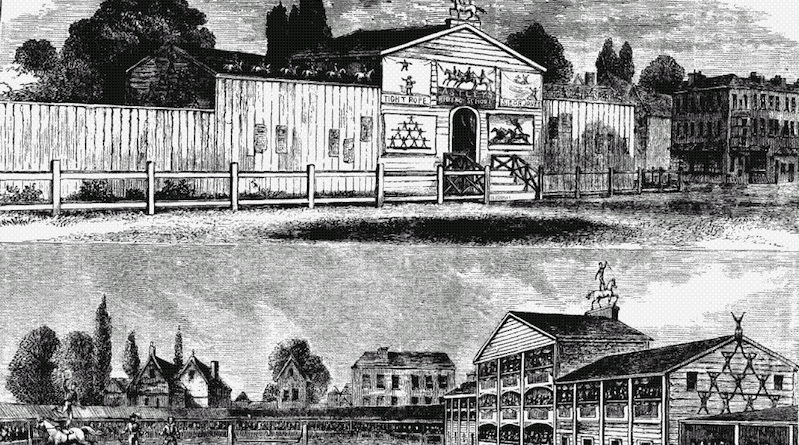 Sorry – his first performances in 1768 at Halfpenny Hatch were entirely equestrian. 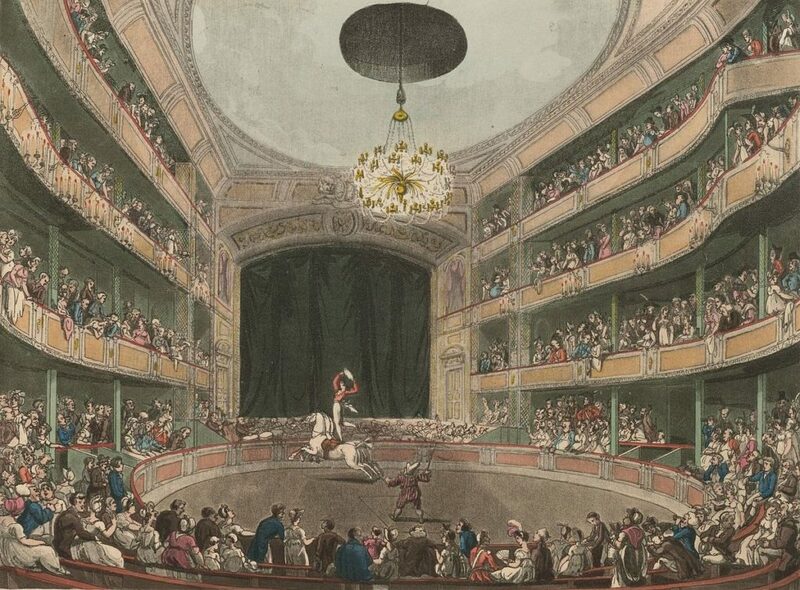 It was not until he had moved to his new space at the foot of Westminster Bridge in 1769 that he began to incorporate other acts into his equestrian shows, and even then to begin with, it was only a clown, a strong man, and a rope dancer. The circus had no instant birth, as some would have us believe. In fact, Astley did not even introduce the word circus. It was not until his former employee, Charles Hughes, went into partnership with Charles Dibdin in 1781, and created the Royal Circus and Equestrian Philharmonic Academy. This was the first time the term circus was used in connection with this style of entertainment; and over time the word circus became used as a generic term. It is often written that Astley gave his first performances upon a horse named Gibraltar; a horse that had been given to him upon his discharge from the 15t​hDragoons in 1766. Well, he did receive a horse then but it was not named Gibraltar. This horse was often referred to as the ‘Spanish Horse’. The horse named the Gibraltar Charger was given to him by his former commanding officer, now General George Eliott, at the end of May 1788. Eliott had played an important role in the defence of Gibraltar during the earlier Franco-Spanish siege. The Gibraltar Charger had been his mount throughout the siege and it was this horse that he gave to Astley (​The Times,​ 4 June 1788). What about Astley’s early years? It is widely accepted that he was born in Newcastle under Lyme, in Staffordshire. At the time of writing this there is no baptismal record, or record of his birth, to confirm this. A plate at the beginning of his 1802 book ​The System of Equitation Educationis subscribed with his birth date, 7t​hJanuary 1742, but not with the birth place. However, we do know that the Astley family were in Newcastle under Lyme after the given date of his birth. His three siblings (two sisters and a brother) were all baptised there. Now here is a problem. It seems strange that the Astley parents should have the three younger children baptised, but not Philip Astley. Of course, the record may have been lost over the years; perhaps he was baptised in another place; maybe he was not baptised as Philip; or maybe even he was not actually an Astley? There are two pieces of evidence to suggest that he may have been born in the Manchester area. 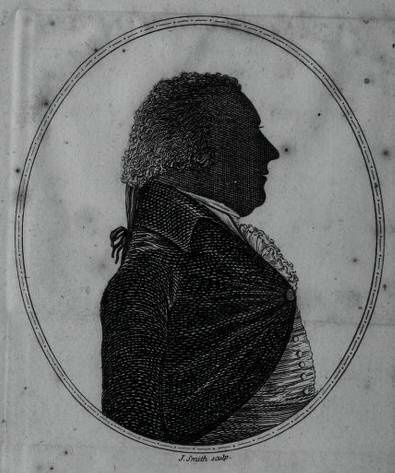 The 1885 work, ​The Annals of Manchesterstates; ‘Philip Astley, the equestrian, paid his first professional visit to Manchester, of which town he claimed to be a native (March 2, 1773)’. Strange! Why would Astley say that if it was not true? The date of birth is also different, almost a year earlier. Interesting. I am still trying to discover exactly who commissioned the engraving. If it was someone who knew him well I am sure they would have given the correct information to the engraver. If it was someone who did not know him that well, surely they would have been more likely to put a native of London – as that is where he was most well-known. To engrave Manchester is such a random city, without having any foundation to do so. And the same applies to the date of birth. Some have said it was a mistake. It could possibly have been – but two mistakes on one gravestone? Astley did have connections with Manchester. His parents were married there and Thomas Swindell wrote in his 1907 work ​Manchester Streets and Manchester Men​that Astley ‘had a number of relations in Manchester’. So, further research needs to be made here. Another popular tradition is that in 1759, aged seventeen (if the 1742 birth year is correct), he had a furious argument with his father, jumped on a horse and rode to Coventry to enlist with Colonel Elliot’s 15th Dragoons. Newcastle under Lyme to Coventry is around 60 miles; quite a way to ride in a fit of anger! In fact the Astley family can be placed in London during the mid-1700s. The ​Register of Duties Paid for Apprentices’ Indentures 1710 – 1811(​ ​www.ancestry.co.uk​) shows an entry for 13 January 1755 where an Edward Astley, Cabinetmaker takes on an apprentice Jos. Russell. The ​Westminster Rates Books 1634 – 1800​(​www.findmypast.co.uk​) also has a 1753 entry for an Edward Astley residing in the parish of Soho. This information corresponds well with the 1824 work ​Account of the Royal Amphitheatre. Westminster Bridgeby Charles Dibdin (the younger), which also refers to the Astley family being in London by either 1753 or 1754. From the beginning of his military career, the life of Philip Astley is much more documented. 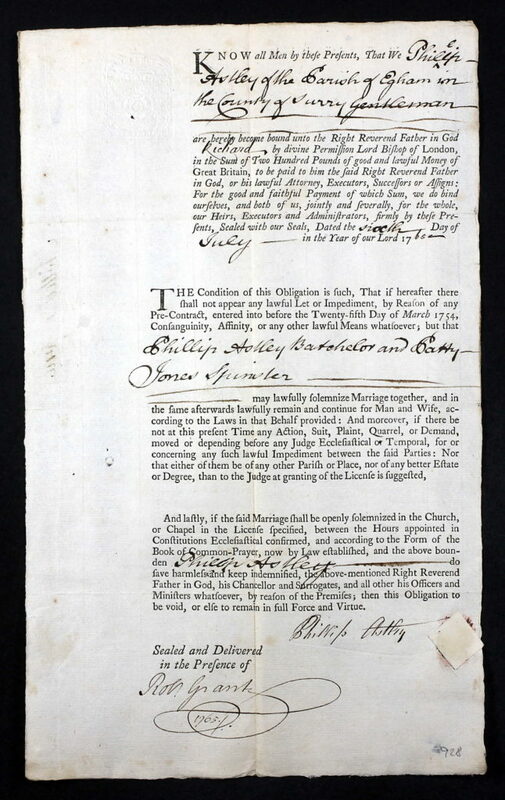 Although some claim that he never officially married, the ​Register Book of Marriagesfor the parish of St George in London show that Philip Astley married Patty Jones on 8 July 1766. Patty had been born Martha (or Mary) Jones and her grandfather had been the 4t​hBaronet of Wolverton. ​Burke’s Extinct and Dormant Baronetcies of England, Scotland and Ireland (2​ndedition, 1841)also makes reference to the marriage. After military service, Astley did not immediately begin giving demonstrations of equitation. He did, for a short period, return to cabinet making. On 20 September 1766, a Philip Astley, cabinet maker of St Anne’s, Soho, took on John Hughes as an apprentice (see reference above). He took another apprentice in April 1767. It was not until 1768 that he began giving equestrian exhibitions. His circus years are all fairly well documented and the facts of his life are less contentious, although one small point is that some claim that Astley was the first person to introduce the hot air balloon into the UK. That accolade has to go to Mr Blaggini, who launched the first ‘aerostatical globe’ in Cheapside, London, as reported in the ​Chelmsford Chronicleon 7 November 1783. Astley did not launch his first air balloon until March 1784 (​The Stamford Mercury​ 19 March 1784). Philip Astley was such a larger than life figure, that is why it is sometimes not always easy to differentiate fact from fiction. But it must be acknowledged that, whatever the truth, Astley must be credited with giving us the foundations of the circus that became such a world-wide phenomenon – and all from that first equestrian exhibition at Halfpenny Hatch.